If the above symptoms sound familiar, you may have a condition known as vertical heterophoria (VH). This is a binocular vision dysfunction resulting from a misalignment in your eyes that causes each eye to see images at slightly different levels. For example, an image may appear slightly higher in your left eye than in your right eye. The brain responds to VH by forcing the muscles in your eyes to align the uneven images. While this ensures that one clear image rather than two disjointed ones are sent to your brain for processing, the extra work will eventually cause your ocular muscles to become strained and fatigued. The resulting stress can lead to dizziness, lightheadedness and a feeling of being disoriented. VH can be caused be a hereditary condition in which you are born with one eye physically a bit higher than the other. The disorder is also commonly caused by head injuries. If you or someone in your family sustained a head injury and is experiencing symptoms such as headaches or dizziness, we highly recommend being tested for VH. 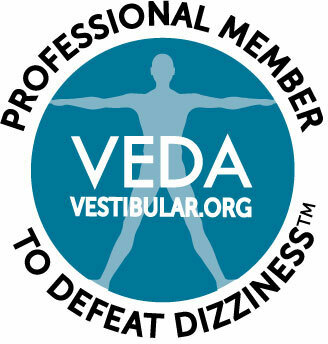 One of the most common symptoms of VH is dizziness when driving or riding in a car. You may feel particularly dizzy if a car passes you while you’re driving. You may also experience difficulties when you need to stop at a traffic light or stop sign—the car can feel as though it’s moving backward even though you’ve engaged the brakes. Head, neck and shoulder pain. Patients may experience intense headaches, pain with eye movements, or a feeling of pressure or heaviness at the crown of the head. Tilting or turning the head can result in extreme neck and shoulder discomfort. Jaw pain is also common with this condition. Sinus discomfort. Pain in the sinuses, especially directly under and above the eyes, is common in patients with VH. This pain is actually caused by your straining eye muscles, but can feel like regular sinus pain. Sleep problems. VH can cause disrupted sleep patterns. You may become aware of movement in your eyes while you’re trying to sleep, which can cause a sensation of dizziness. Many patients with VH find that they sleep better in a completely dark room, as any light seen through closed eyelids triggers visual vertigo. Anxiety. You may feel uncomfortable when in a space with a tall ceiling, such as a mall, a big box store or a department store. You may also feel overwhelmed when in a crowd, as the many faces and stimuli of a large group of people can trigger vertigo. Symptoms of VH overlap with a number of better-known conditions. This is why many patients with VH are misdiagnosed and can go for many years without receiving treatment that actually addresses the root of the problem—their strained and fatigued ocular muscles. Patients with VH seeking treatment for dizziness often mistake their symptoms for agoraphobia or generalized anxiety. Medical workers typically misdiagnose patients and give them treatment for vertigo or migraines, which turns out to be ineffective. If you have experienced the above symptoms, you could have VH. At The Neuro Visual Center of New York, we have extensive experience diagnosing this condition, and our treatments literally change people’s lives. To diagnose VH, we will perform an in-depth exam using state-of-the-art technology that looks for tiny misalignments in your eyes. A regular eye exam cannot detect these misalignments, which is why it’s important to visit a neurovisual specialist for an accurate diagnosis. We treat VH with special aligning prismatic lenses, which help your misaligned eyes to see one clear image rather than two uneven ones. This relieves the burden on your extraocular muscles, significantly reducing or even eliminating VH-related symptoms. For more information about VH and its treatment, contact the professionals at The Neuro Visual Center of New York at (516) 224-4888. We’re ready to help.